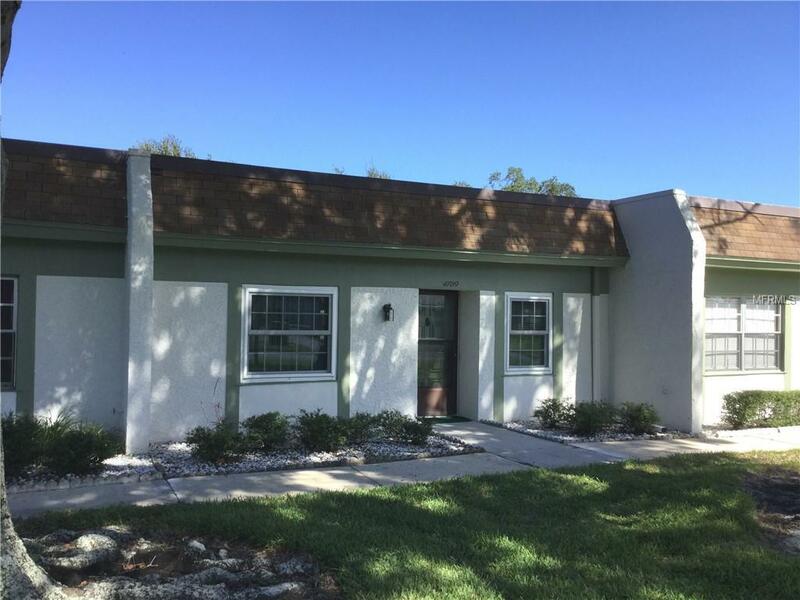 Lovely 2 bedroom 1 bath* villa in The Lakes. Remodeled kitchen with newer cabinets now opens up to living room and dining room...giving you a "Great Room" and open floor plan. The spacious *bathroom opens to the hall & guest room, as well as the Master Bedroom, providing you w/the privacy of a master bath. The screened porch has been enclosed into a Florida Room and the unit has newer "high impact/hurricane rated windows" throughout. The unit overlooks a large courtyard giving you an expansive view and park-like setting. This unit also has a carport and storage area. There is an impressive laundry facility for this complex and it is located just across a small parking lot, making it very convenient. This 55+ community has a very nice clubhouse w/full kitchen, meeting room, card room, billiards/poker room, library, shuffleboard and a beautiful heated pool! Easy commutes to Tampa, St. Petersburg, North Pinellas County, the airports and the beaches! Listing provided courtesy of Regal Real Estate Services.